If you work at a desk for the majority of your day, you have probably noticed that you don’t feel your best after a long week of work. People who work seated at a desk for eight to ten hours a day are also generally not getting much exercise in their off hours. If this describes you, consider therapeutic massage to manage your comfort level and keep your body flexible. If you have any of these silent symptoms of chronic tension, your desk job is likely making them worse. Therapeutic massage on a frequent basis can help counteract these symptoms and help you feel better in your off hours. How frequently you get therapeutic massage is up to you, but many people with desk jobs find it beneficial to get a massage once a week. If you get a massage at the end of your work week, it will help to counteract the tension you have held in your body throughout the week. You will be better able to face your weekend without feeling sore or fatigued if you get a massage at the end of your work week. Some patients prefer to get therapeutic massage once per month. 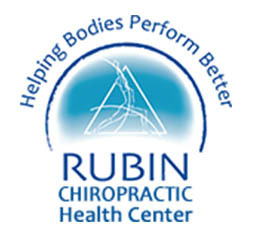 If you have a desk job and are noticing signs of chronic tension, call us today to schedule an appointment. We will be happy to meet with you and discuss your lifestyle and treatment options so you can get back to the flexibility and comfort you once enjoyed.